Liuwa Plain in western Zambia is the answer for safari goers who’ve dreamt of seeing tens of thousands of wildebeest migrating across the wide-open plains without another vehicle or person in sight. If you’ve ever sat in the Masai Mara surrounded by minibuses and tried to imagine what the incredible spectacle was like fifty years earlier, before the tourist hordes arrived, then Liuwa is the place for you. 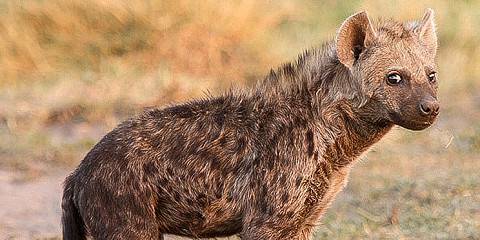 But migrating wildebeest and zebra aren’t the only reason to visit the true wilderness of Liuwa, huge clans of hyaena, packs of wild dog, cheetah and lion roam the savanna and surrounding woodlands, preying on the sick and the weak. The plains are in fact a giant wetland – inaccessible during the rains but teeming with water birds, colourful flowers and wildlife thereafter. I once observed three wild dog kills take place in the space of 36 action-packed hours while on safari here. Liuwa is my recommendation for tourists wanting to experience great wildlife-viewing in one of Africa’s wildest wilderness areas. 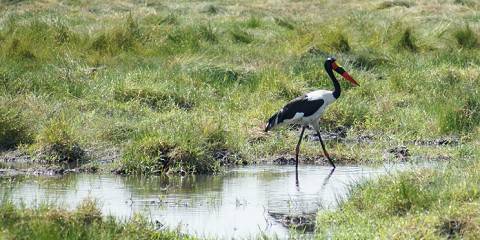 Despite its relative lack of big game, Liuwa Plain National Park is one of my favourites. It’s a paradise for the true bush-lover – even just getting into the park is an adventure that includes negotiating a river on a small and rickety hand-pulled ferry just about big enough for a solitary vehicle. Liuwa has become known for three things: wild dogs, Lady Liuwa (star of the documentary ‘The Last Lioness’) and, most of all, the second largest wildebeest migration in Africa, which usually begins in October or November. The seemingly endless plains make for a striking backdrop to this spectacle, and all those wildebeest calves are a little like a walking buffet for the park’s hyena and wild dog. The camps here are as basic and remote as you’ll find anywhere, but there’s lots of peace and quiet and authentic bush charm. An added point of interest in Liuwa is the scattering of small villages, and the inhabitants who continue to practice their traditional subsistence farming, within the park boundaries. When I was last here, the local villagers were the only other people we saw in 4 days inside the park – and not a single other vehicle. 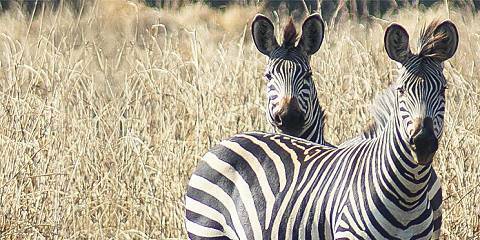 Tucked away in one of Zambia’s remotest corners, close to the Angolan border, Liuwa Plain attracts few tourists, but that’s not for lack of interest. 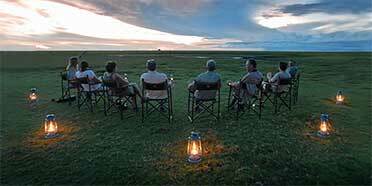 Those hardy travellers that make the trek can expect to enjoy the thrill of a true wilderness experience. Get the timing right, and you can see almost as many wildebeest on the move here as you would in the Serengeti at the height of the migration. Their numbers peak in November and December. Other significan t species are gradually being introduced. Another good reason to time things carefully is that road access to the park is via the Barotse floodplain – tough going in the dry season, with yawning potholes, and impossible after rain. I certainly wouldn’t recommend it to anyone who doesn’t enjoy long, bumpy journeys by 4WD. Out in the far west of Zambia, far from the well-worn safari trails of Kafue and Luangwa, Liuwa Plain is a fascinating work in progress. Overseen by African Parks and part of a project to bring back the wildlife populations devastated by decades of poaching and mismanagement, Liuwa Plain is an experiment that deserves to succeed. There are numerous villages within the park boundaries – part of a plan to build strong wildlife populations that benefit local communities – but these rarely disturb the sense that this is wild country, home to vast plains of Serengeti-like grasslands. Until lodges put down roots, there are basic campsites from which to launch expeditions in search of the abundant hyena and wildebeest populations (Liuwa Plain hosts one of Africa’s least-known wildebeest migrations). But the stars are the lions of Liuwa – Lady Liuwa, a lioness who was the only surviving lion in the area for almost a decade, is something of an international celebrity and seeing her remains one of my all-time safari highlights. She has since been joined by males, cubs and another lioness brought in from elsewhere. The park is inaccessible in the wet season (which begins in November) but fabulous at other times. Liuwa is a remote, raw park that few tourists see. It’s a place of endless grasslands, vivid blue pools strewn with lilies, and thousands upon thousands of wildebeest that migrate across the plains following the floods. In fact, this is the second largest wildebeest migration in Africa and it feeds a staggering 700 hyenas that live in and around the park. Here, they’re not scavengers but predators and I learnt a new respect for them watching their family groups hunting, feeding, playing and socializing together. Liuwa is also home to the world’s loneliest lioness, Lady, who survived here on her own for nine years until conservation organization African Parks brought in some younger lions to breed and keep her company. Lady is very special – seeing her with her new pride was one of the highlights of my visit. We also spent a fascinating afternoon with researchers from the Zambian Carnivore Program learning about their work and I’d highly recommend this to anyone wanting to gain a deeper understanding of this magical place.